Features a center core wire with an outer wire spiral wire grips and keeps the wire secure and in position once the YP10 or Lead seal is pressed in place. Gas, Water, & Electric meters, Drums, Inspection doors, Food Industry, Cages, Ammunition boxes, ATM cassettes, or any sealing application with small opening or limited access. Available in: Galvanized (default), Stainless Steel, or Copper material. Click Customize to choose material. 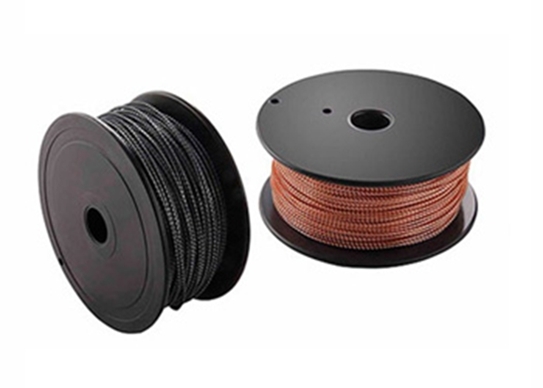 24 AWG core with 28 AWG spriral lash. Pricing is per 170m (556 ft) roll.